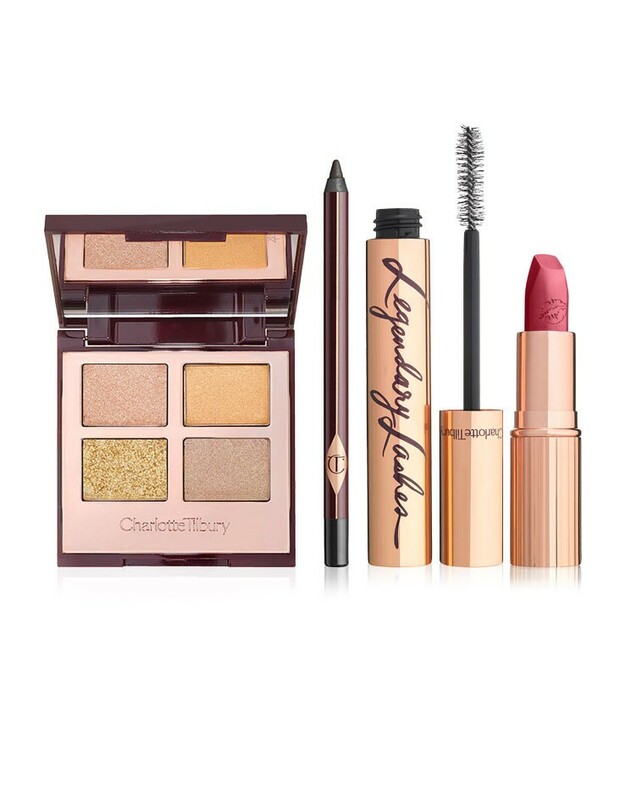 At this point it's no secret that I'm a massive Charlotte Tilbury fan. Her products are hits and misses for me, and this product I'm showing you is a hit in my book. Legendary Muse eyeshadow quad is a part of a new, limited edition look called The Dreamy Look, which in her words is inspired by "the dreamy spot-lit beauty that supermodels like Gisele Bundchen and Gigi Hadid possess". Not only is she great with creating amazing makeup products, I'd say Charlotte is great with words as well, haha. This eyeshadow quad in particular is a "dreamy, pretty, flattering combination of champagne golds, Ibizan sunset golds, and pale, angelic, softer bronzes", or you can just say it's a rose gold, coppery toned palette. 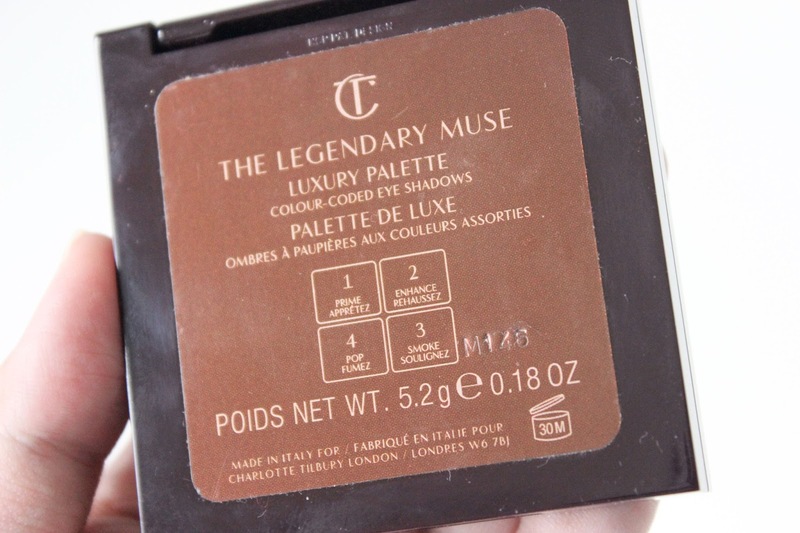 Now why did I get this one instead of other Charlotte Tilbury's eyeshadow palettes I didn't have in my collection? One, it's limited edition, which is more appealing in my eyes. Two, it has the combination of colours you don't often get from an eyeshadow quad. 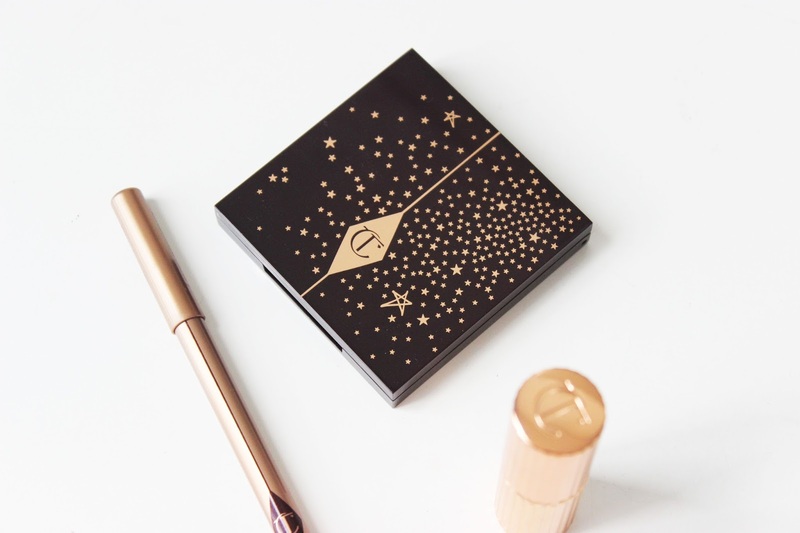 Three, I have had great experiences with Charlotte's eyeshadow formula. Four, I mean have you seen how gorgeous it is? 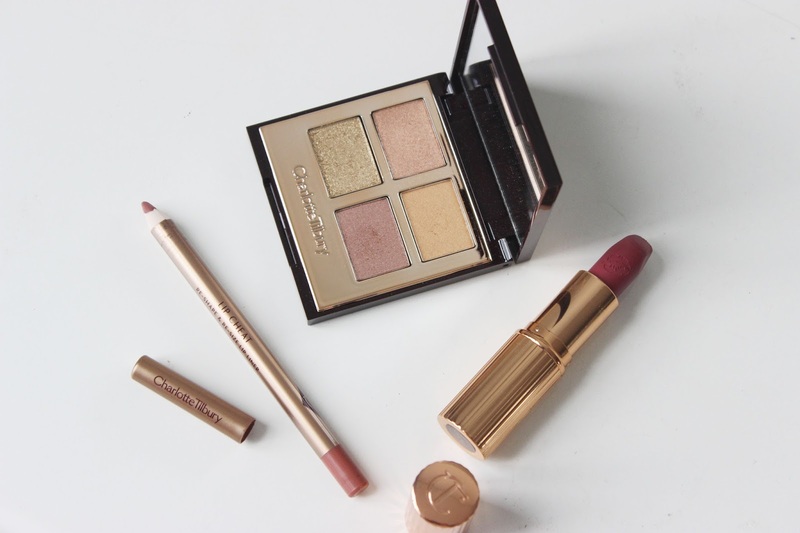 The soft, golden, light shades are calling my name! Legendary Muse eyeshadow palette, Rock n' Kohl eyeliner in black, Legendary Lashes mascara, and Matte Revolution lipstick in Secret Salma. 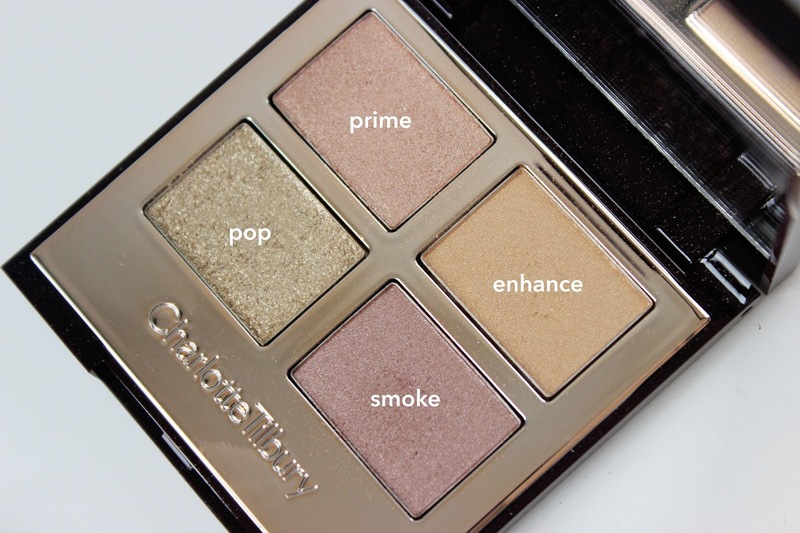 Charlotte describes the shades in this palette as just Prime, Enhance, Smoke, and Pop, this goes to her other eyeshadow palettes as well. I guess this is her way to make it easier for people to create a look using the palette. Prime is heavily peachy rose gold. Enhance is a sunset gold. Smoke is a shimmery copper, english rose, blush shade with a tad bronze undertone. Pop is a glittery gold leaf, lime green-y shade. As you can see here, there's nothing in this palette that would make a traditional crease shade or something that would frame your eyes, because of their shimmery, light colour nature. You can either add another eyeshadow to give your eyes a little definition or just leave your look soft and pretty as it is. 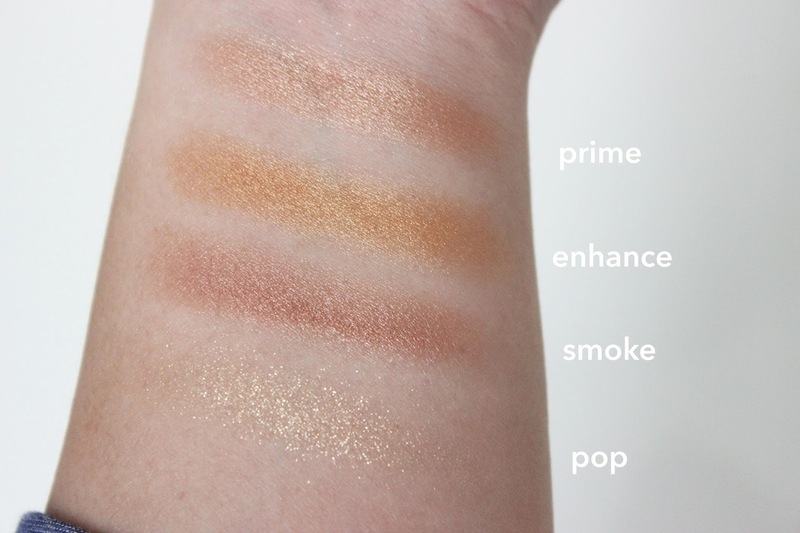 The formula in this is consistent with the other palettes I have, which is pigmented, soft, and blendable. They stay on all day long on top of primer, without fallout except for the glittery shade which is best applied with finger. Happy to say that this product is a high quality product, as you would expect from an expensive, luxurious eyeshadow palette. I can't say enough good things about this palette. All the basic components that makes an eyeshadow palette great, this one has, so it just comes down to whether you think the shades are for you or not. 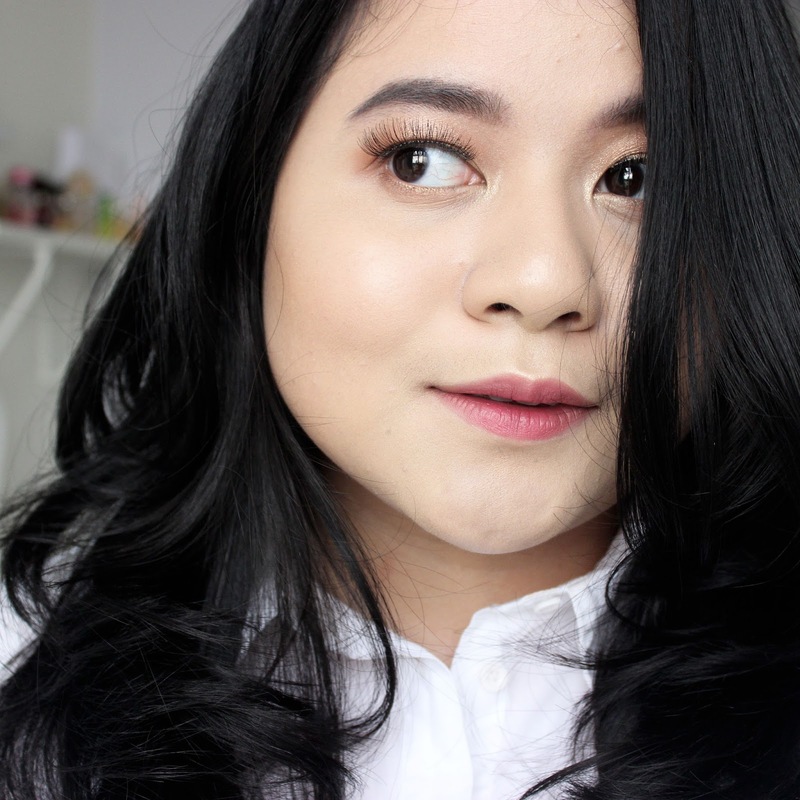 I wouldn't say this look is perfect because it was the first time I tried it on my eyelids. I actually filmed it for a first impression type video but scrape the idea after I filmed because the footage wasn't even half decent (story of my life). What I did was I took the Prime shade all over my eyelids, went a little out of control with this one, the next time I wear it I won't blend it too high up the crease. After that I took Smoke and put it on the outer corner of my eyes and along the outer part of my lashline, also blend it on my crease as it is the darker shade in the palette, eventhough it's not anywhere near a dark eyeshadow, and on the outer part of my lower lashline. I put Enhance on the center part of my lower lashline, and then decided to pat a little bit on the center of my eyelids. Last but not least I put Pop on my inner corner, and then pat the excess on the inner corner, building it up as I go. It's a very easy, simple eye look that everyone can recreate. 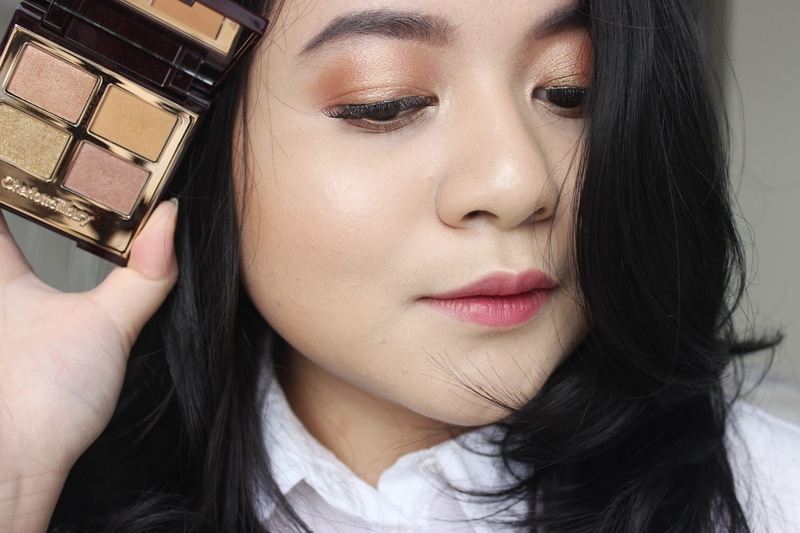 I always love the glittery Pop shades from Charlotte Tilbury because they give the look a little bit of something. I prefer it scattered all over the eyelid than on the inner corner actually. 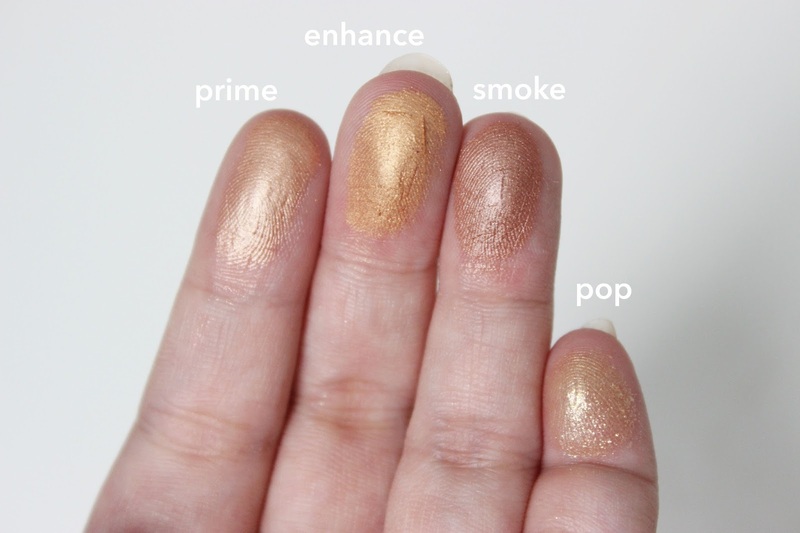 I don't have any gold like the Enhance shade, it's a very yellowy gold but sophisticated at the same time, it just has the correct undertone to make it look expensive. I overall enjoyed the experience of creating this look although I would try putting on a thin, matte eyeliner just to give definition and deepen my hooded eyes a little. 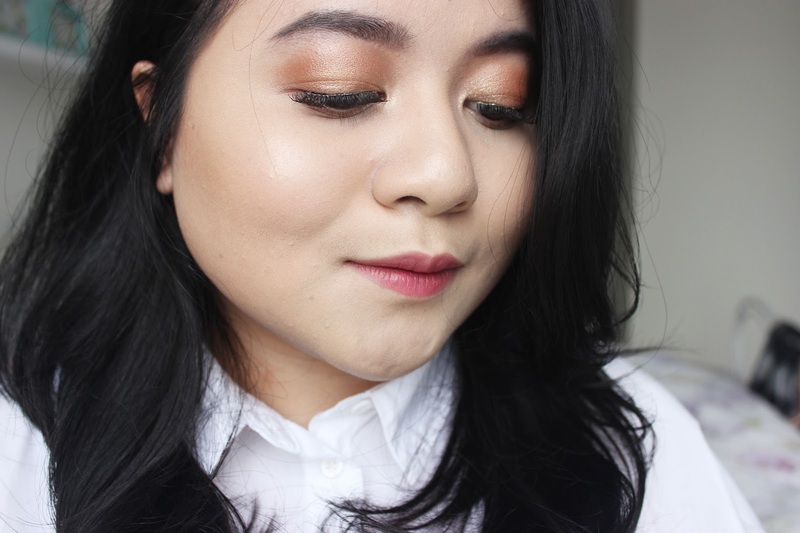 I happen to have Secret Salma, so I wore it on my lips to see how it pairs with the eyeshadows. I think it worked out great. Underneath the lipstick I have her lip liner in Pillow Talk. So do you think this eyeshadow palette is for you? I think I will have a lot of use out of this.